Dimensions: m 1 x 1 x h 2,15. 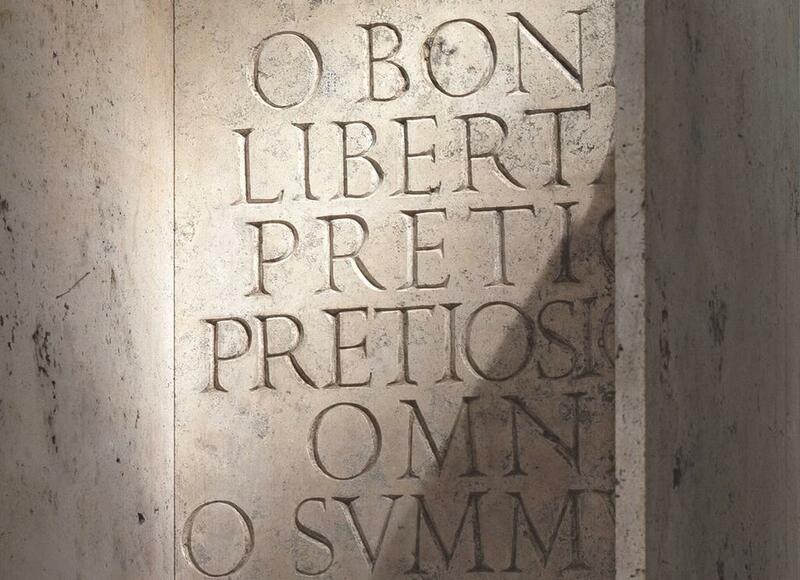 In a period of political crisis and institutional uncertainties, Maria Dompè reminds the public during this Roman exhibition of the right/duty to vote as a moment in the expression of our liberty. 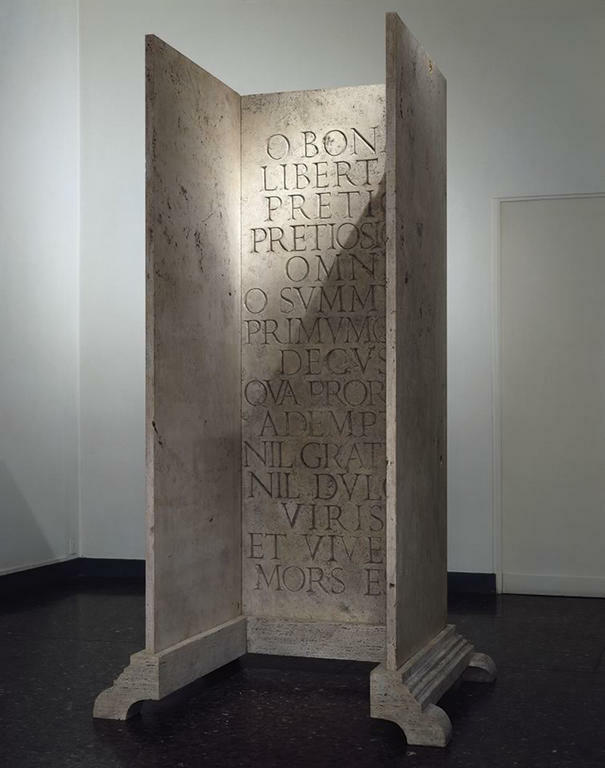 Inside the ‘voting booth,’ reinterpreted in classical form, the Latin inscription is a praise of liberty and an invitation not to think of it as a given for all, but as a precious good to be defended and watched over constantly in order to preserve its integrity. Here the text has been translated into English. At the Italian showing, the visitors were given the Italian text as well, so that no aspect of the work is lost.